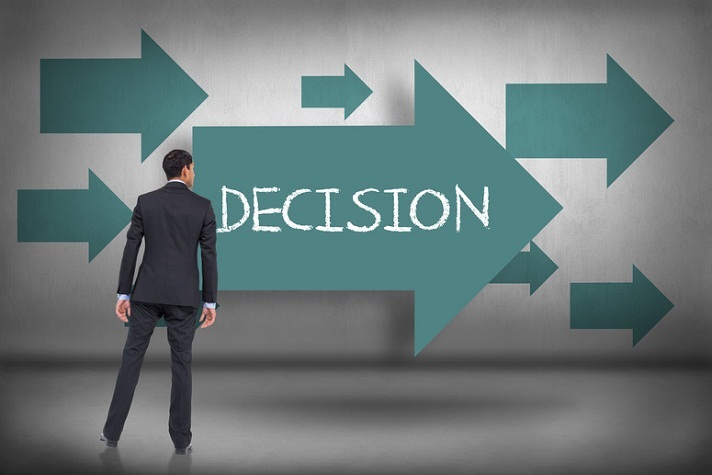 Making decisions are a part of everyone’s life, be it at personal or professional level. Some decisions are small while some are major.At workplace too, making decisions is a part of every employee, especially at the managerial level. Decisions at work requires lots of thinking and analysis. While making complex decisions it is important to follow a systematic approach. This will reduce the risk of overlooking some important facts or information and help to look at all the aspects before taking the most appropriate decision for that situation. Here is a 7-step process that should be followed while making decisions. The first step should be to define the problem for which the decision must be taken. One also needs to identify what outcome is expected from the decision. The next step is to identify what information you will require to make the decision. Once you know what you want, then seek to get that information from relevant sources. Your decision should always be based on relevant facts and data. Once you have the clear definition of the problem and all the relevant information about it, the next step is to come up with all possible solutions that can be applied. While looking for solutions, one should think with different perspectives and have multiple alternatives to resolve the problem. This will reduce the risk of missing any aspect of the problem and you will be able to select the best option to resolve that problem. The next and the most important step to weigh all the solutions and rank them accordingly. You need to analyze the pros and cons of all the alternatives and select the most appropriate solution which has the highest rate of success. Some solutions make seem to most appropriate, but may have the highest risk. Hence, while weighing the solution you need to optimize the success rate and the risk factor and come up with the most feasible solution. After analyzing and weighing all the available solutions, you need to make a decision on the solution that should be applied to resolve the problem. While making the decision, you need to consider various factors like the risk involved, the gain, cost involved, past history if any and so on. While the idealistic approach mentioned above helps in making decisions, practically there may be various challenges that may come in the way. In the corporate world, challenges are common, and it is expected that one overcomes them and come out with effective decisions. Having too little information: Many times, you may come across situations, where you need to take a decision, but have very little information about the problem. In such situations, avoid taking abrupt decisions. Take some time and gather at least the most important information that will help you to take a correct decision. Having too much information: Having too much of information may sometime misguide or confuse the decision maker. It may also cause in a delay, as too much time is spent in analyzing all the information. In such situations, there is a possibility that an important piece of information is missing out while taking a decision. During such situations, it is advised to first segregate the most important information and then take the decision based on that. Also, always keep a watch on the timeline, as too much time should not be wasted in decision making. Conflict between logic and gut feeling: This is a very complicated situation. Sometimes the analysis shows that a certain solution is best while your gut feeling says something else. How to decide in this situation? Well, here it is always better to take an opinion from seniors, as their experience can be handy in taking a decision.